This issue’s cover is from Smog the City Dog by Adria Meserve as discussed by Martin Salisbury. Thanks to Random House Children’s Books for their help with this May cover. The re-release of this version of Nina Bawden's perennially absorbing story gives a new generation of listeners a treat. Superficially the story of Carrie's experiences as an evacuee during the Second World War, it is told by Carrie when she returns to the South Wales valley 30 years later and begins to make greater sense of the things that happened at the time. Bawden's cast of original characters and especially of the strange Mister Johnny, as seen by Carrie and her brother Nick, are superbly drawn and her insight into the tensions of family relationships and their misinterpretation is original. 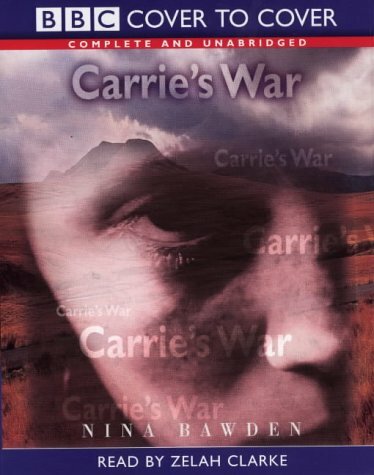 Carrie's War is a classic and Zelah Clarke's carefully controlled reading of it captures perfectly both the needle sharp observations and the imprecise dreamy nature of aspects of the story.